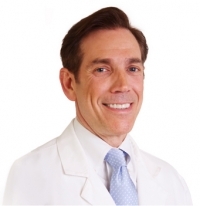 » Watch Next Video by Louis Prevosti, MD - Can you prevent venous reflux? What are the risk factors for chronic venous insufficiency? The risk factors for chronic venous insufficiency include family history. So, for example, if you had one parent that has varicose veins or vein problems, you have a 50 percent chance of having them yourself. And if you have two parents that have the problem, you have a 90 percent chance of getting vein problems, such as venous insufficiency, varicose veins or spider veins. Other risk factors include female gender, multiple pregnancies - the underlying issue there is the female hormone, progesterone, which can cause veins to dilate and fail. Lastly, obesity and a job or vocation or activity that requires prolonged standing or sitting.